So I am going to work on typing this guide up and getting more detailed pics asap. 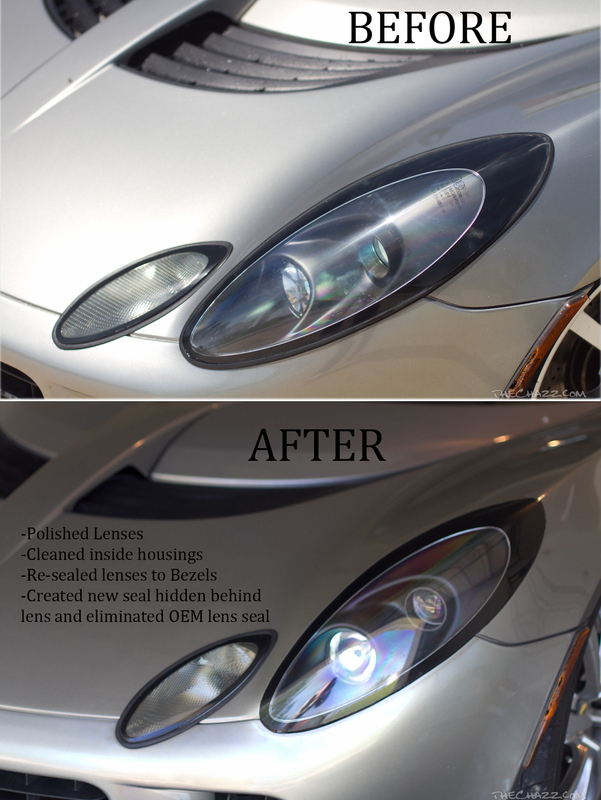 This is a guide to both restore the shine to those $1200 headlight lenses, trash the crappy ugly seal Lotus uses and re-seal it all for a cleaner and re-vamped look. Got the idea for the seal delete after seeing a local members car come out of the body-shop and them forgetting to install the seals entirely. 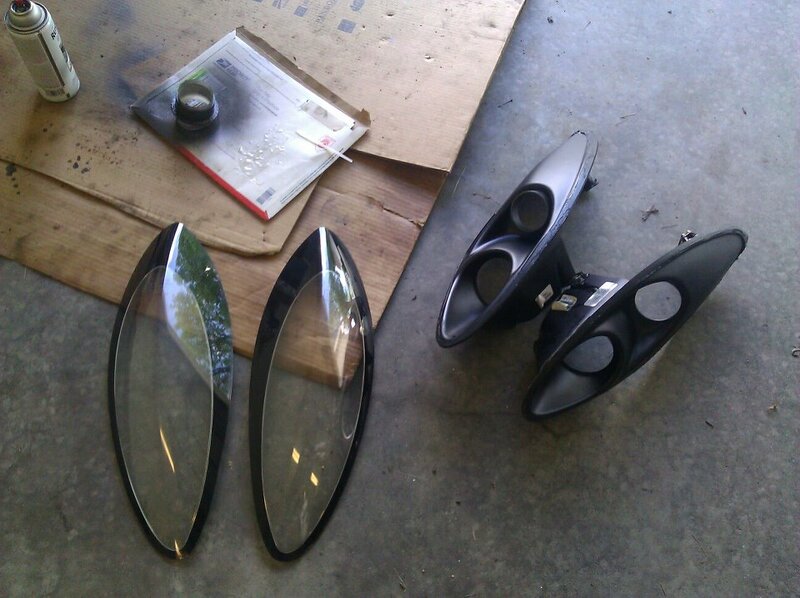 Headlight disassemble and re-assembly 1-2hr each +4hr to cure silicone. 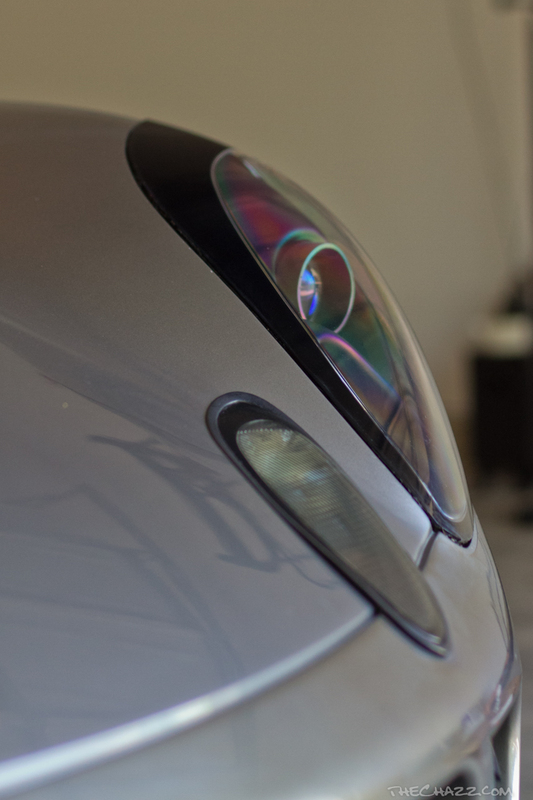 Start by cleaning the headlight lens and body panels surrounding throughly. Ensure the surfaces are free of debris and dry. Mask off the area surrounding the headlight, to be safe create 2 layers of tape. The sanding disk WILL wander and this will protect your paint/starshield. 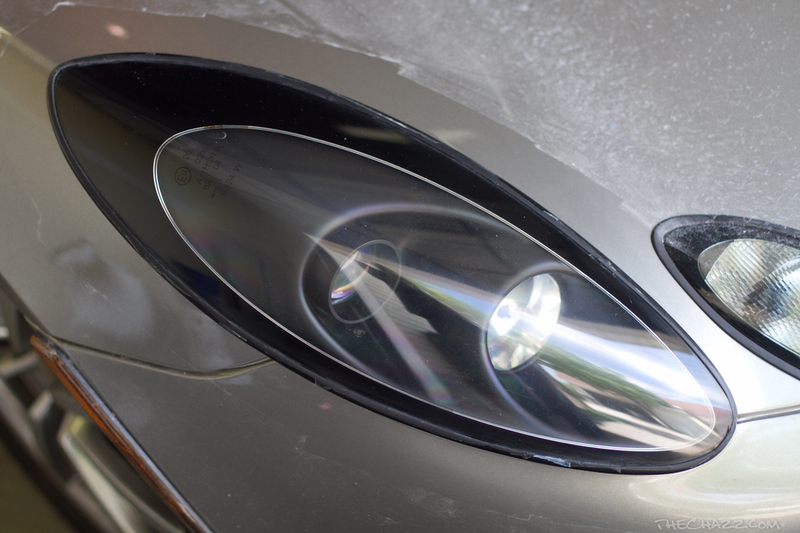 Also if retaining the OEM headlight seal, be sure to mask it as well or remove it before starting for better results. Follow the instructions included with the 3M Headlight polishing kit. Start sanding the lend DRY with the 500Grit disc's. This will make the headlight appear frosted. Be sure to move constantly and keep the disk flat or VERY slightly angled against the lens. Aso, because of the complex bend in our lenses be sure to "walk" the pad consistantly back and forth accross the "hump" for an even surface. 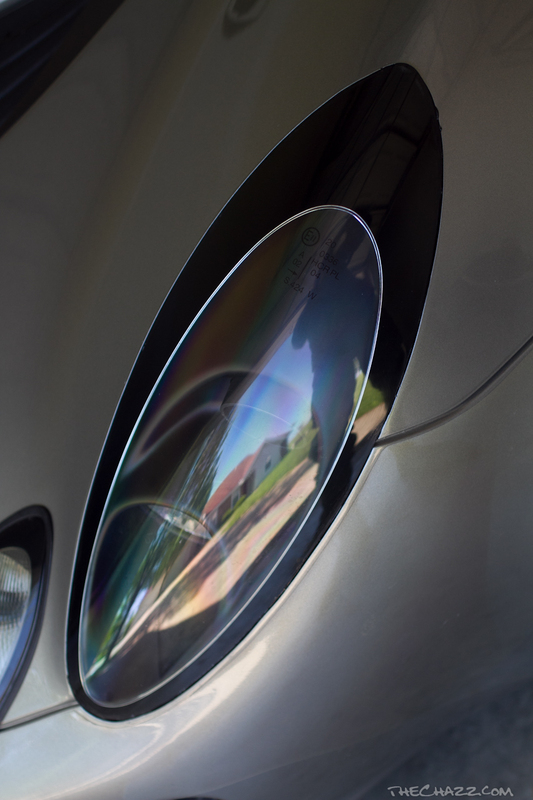 Be sure to remove ALL of the OEM UV protectant (Clear coat) from the lens. As you sand this coating will break up into patch areas, continue sanding until ALL of this material is removed. This also applies to any light scratches or small chips in the lens. Sand until they are gone. TIP: Every 2-3 minutes of sanding slap the sandpaper a few times to remove sanding dust. If you start to see small black dots forming on the pad, switch to a new pad. With all of the old UV Coating and olther blemishes removed from the lens and an even "frosted" surface on the lens switch to the 800Grit pad. Sand with this DRY as well and be sure to "slap" the pad ever 1-2 minutes to keep from clogging the paper. Spend a LOT of time with the 800Grit, a described in the instructions this will make the future steps much easier. When nearing completion the lens should appear transparent but foggy once again. Now time to wet-sand, switch to the 3000Grit Foam sanding pad. Using a spray bottle with water (I also included a drop of detergent in the water to help keep the pads from clogging) wet the pad thougholy and wet the lens. Start sanding with this as well. You will see a white foam build up as it removed material from the lens. Rinse this away with your spray bottle every-so-often to help keep the pad from clogging. It is aslo a good idea to thougholy flush the pad often as well. Once you are confident the lens has been sanded back to a smooth surface clean and dry the lens entirely. Re-inspect and sand anthing else as needed. Be sure you are wearing shop clothes in this step as you will get compound all over yourself. Now, Mount the Foamy polishing pad (pink in color) and find the small package of polishing compound. 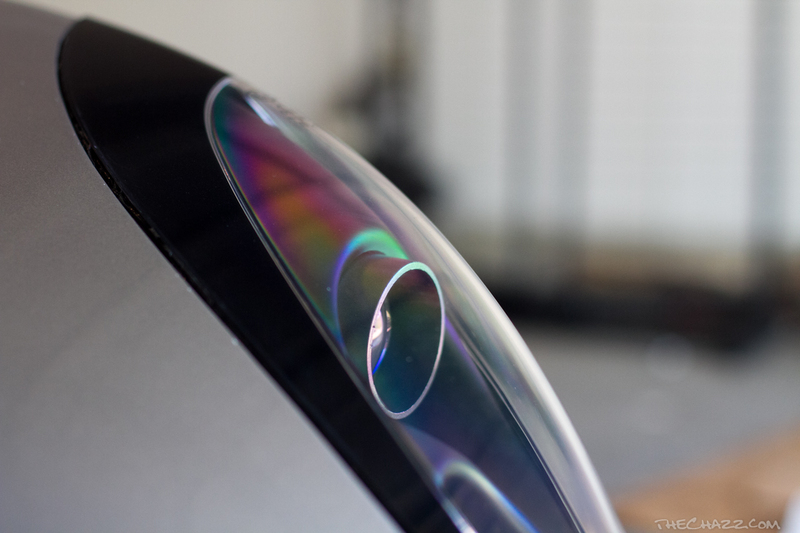 Place a dime sized amount onto the pad and smear it all over the lens into a thin film coating. Now start polishing the same way you sanded. 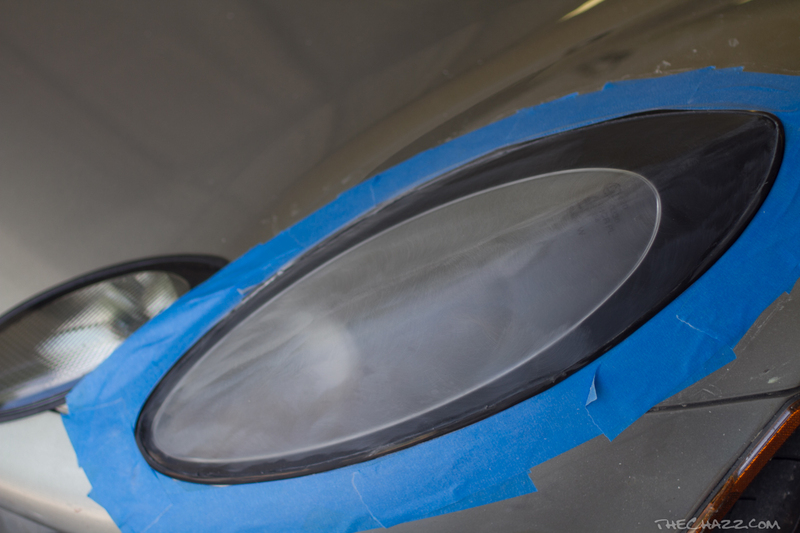 Make sure to move in slow even circular motions in this step to avoid swirl marks in the final product. Do a pass over the entire lens, then clean with water and a microfiber. Repeat (I did each lens 4-5 times). Either re-seal the surface of the lens with the recomended 3M product or apply a new starshield to prtect your fresh lens's! For now here is a link to the pictures of the process that I have. Last edited by TheChazz; 05-14-2012 at 02:42 AM. Got anymore close-ups of the new seal? Can we add this to the Uberthread please? 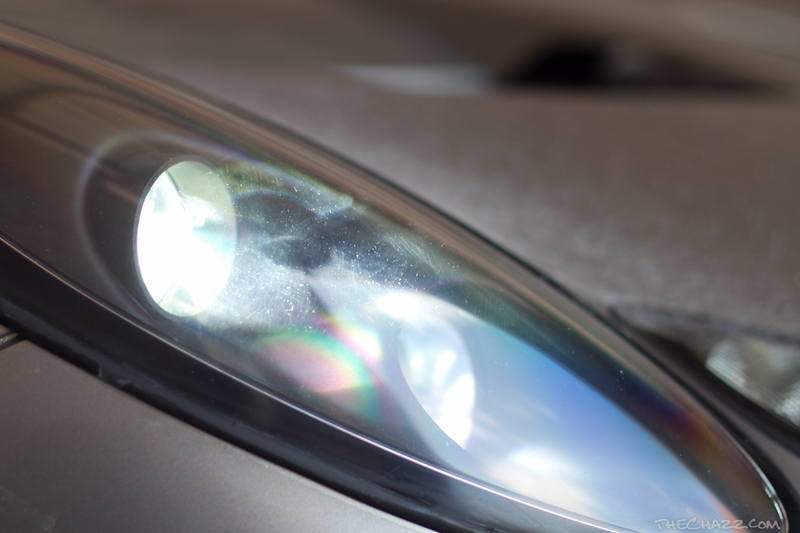 A related issue is that the headlights on some cars repeatedly fog up, and then the inside acquires dirt from the condensation, making the lenses dirty. Super cool DIY project with stuff u can get local. I love it and look forward to giving this a shot. I recently installed HID's n then I could really see all the scuffs n nat! Customer: No, I swear it's an Eskimo pie! I have seen the original car Chazz mentioned, in person, and it looks great! Now every time I look at the front of my car, all I can see are the crappy rubber seals around the head lights; so cheap. Everyone should do this, I will be! Props to Chazz for taking pics, posting a writeup and contributing. In your headlight disassembled picture how did you get the clear cover separated from the black plastic piece. I had this out before and didn't know you could separate this. I wonder if something like this is possible with the turn signals. Jay, when you want to do yours let me know I could use that to take the addional pics I need for the guide. 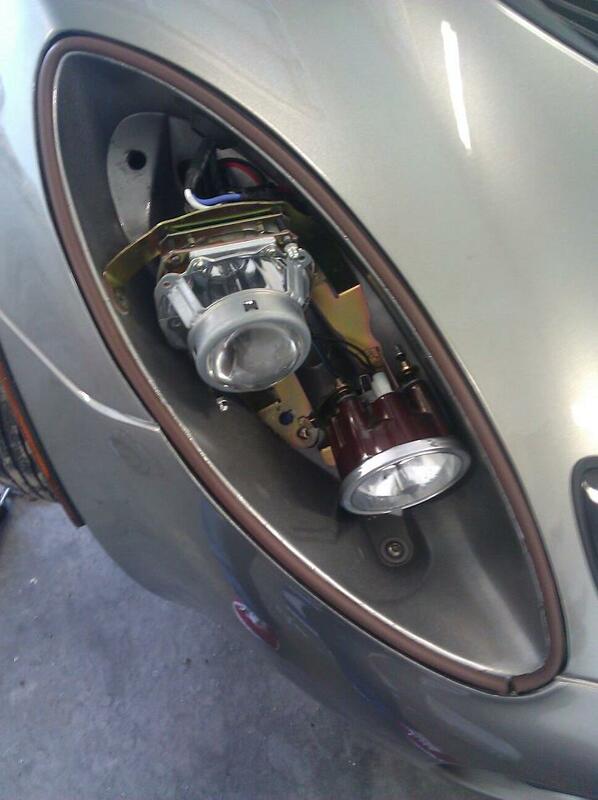 As for the Turn signals, they have a much larger gap and dont sit flush like the headlights do. Im going to work on something including painting the insides of the signals black. Last edited by TheChazz; 05-13-2012 at 08:54 PM. Just wanted to post an update. "tested" out the seal this weekend and had NO ill effects! Also a few other local members are doing this mod. Had one person so far report that the lens was not sitting flush with his clam like mine did. We discussed the possiblilty of a varience in clams? Not sure if he resolved yet. I did that today on my car actually and it turned out WORSE than before Light is hazy now. I'm gonna just bring the car to friend that does detailing work and have him fix it and then put clear film over it. For the microfiber rags, Costco has a good deal. A big pack, probably 30-40 rags is like $15. Did you use the 3M brand kit? Follow the directions correctly? Should not have had a problem if so. Sorry to hear you lenses didn't come out clean. I know that you can get cheap microfiber... but as TheChazz initially points out there are dollars involved in good cloth. Maybe this contributed??? Alrighty, just updated the original post with the polishing guide. I will add more images if someone else local wants to do this and provide images or let me take them as they do it. I will type up the hidden seal guide as well though it is mostly self-explanitory. (Rip off old seal, ensure clear lens-to-bezel seal is good or re-seal. clean ind stick new seal to clam, re-install lenscover. The 3M headlight restoration kit works wonders on old hazy lenses but you have to put in the elbow grease because if you skimp on the time you spend on the lenses, it won't come out right, and you have to restore the UV protective coating or else you have to redo it every 3 months or so. My car is not that bad yet and I don't want to take a sanding pad to it like I did with my DD... I think I will put some headlight covers on it first before it starts getting sanded and hit more. Turtlewax kit, but it's pretty much the same thing. My lenses has spots toward the flattest part that the plastic was peeling a little. It sorta buffed that out, but then hazed over the whole lense. Not familiar with the kit. I can vouch for the results of the 3M kit if used properly. Did you do it by hand or use a power buffer? I have a power buffing wheel with dedicated cotton covers over a soft foam core, versus what comes with the kit... which is not as good if you only have a power drill. I spent some time going over the plastic lense with the wheel and I also used Plasti-X instead of the little packet of polishing compound.